Grow Viewership. Improve User Experience. Increase Engagement. 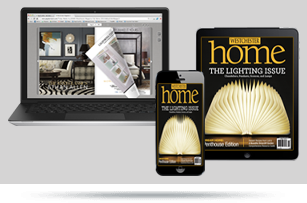 Every PageTurnPro publication has versions optimized for Flash, HTML, HTML5, All Browsers, Desktop, Smartphones, Tables and mobile apps. Your users will automatically see the version best suited for their device, browser, and operating system. Simple, Elegant Way to Display Your Library. Generate Leads & Drive Viewership. 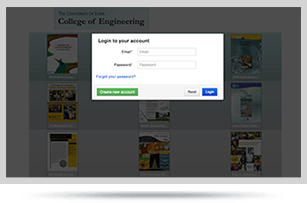 Display your publications in the customizable PubStand with your logo, custom background, and a simple URL. 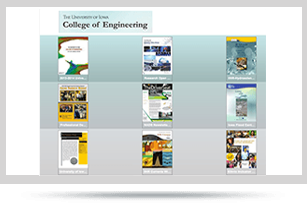 Users can simply browse through your PubStand to see all related publications, magazines and whitepapers. Make your PubStand public or require registration to generate leads. View, download or integrate your lead directly into your CRM or Email solution e.g., Salesforce.com, Mailchimp. Use Video Content & Ads to Drive Viewership, Engagement & Revenue. 60% of viewers expect video in your content. Integrate your video assets right into your publication pages. 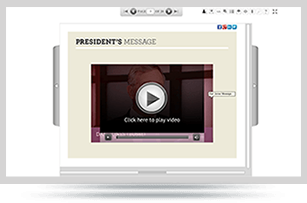 Just upload your video stream directly from your YouTube and Vimeo library. It is free and easy. Need help? Want to customize your video implementation? Our dedicated support team is here to assist you. Email us or call us at 888.270.7675. Drive Web Traffic for Your Advertisers, Sponsors, Partners and Your Own Sites. PageTurnPro will automatically hyperlink the URLs and email addresses in your publications text. You can also quickly create links on content such as images and advertisements in your publication. 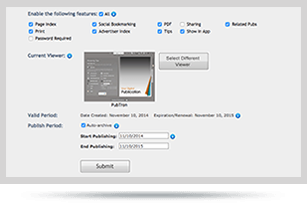 PageTurnPro Adapts (Easily) to Your Organization, Process & Workflow. 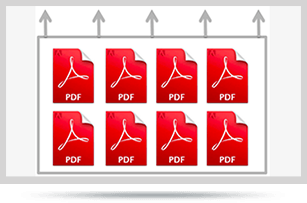 Schedule your publish dates; replace the entire PDF or just specific page(s) any time - all this while retaining the location of your embedded links and videos. In addition create multiple account managers, with different view and edit permissions. Unlock the Business and Revenue Potential of Your Compelling Content. Are you looking to collect registration data from users interested in your publications, reports and whitepapers? We have just the right solution for your needs. 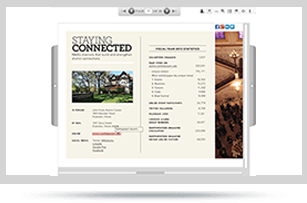 You can even use your publication as “landing pages” for your marketing campaigns. Increase Retention, Grow Subscriptions & Simplify Delivery Across All Platforms. Do you manage a paid subscription? Are you worried about user ID and password sharing? Talk to us. We have several options that can help you manage user access such as restricting the number of devices, or requiring user verification via text or phone call integration. 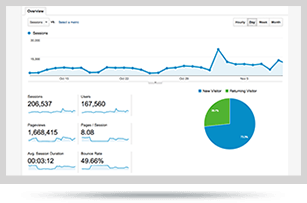 Analyze Your Content’s Performance. Strategize and Plan Based on Real Data. Do you know how many pages an average viewer reads through or the time she spends reading your magazine, or which advertisements caught her interest? Well, PageTurnPro platform provides you with all that information and much more, such as Pageviews, Clicks, Browser, Devices, Operating Systems, more… View our simple and intuitive reports and even download the data in well formatted, ready to use excel or PDF files. Maximize Your Revenue Potential. Give Your Advertisers Engaged Audience. 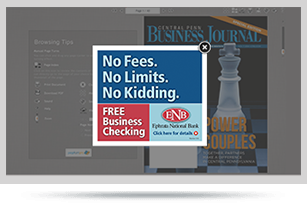 Integrate standard IAB format ads – leaderboards and skyscrapers along side your ads and count each page-turn as an impression. 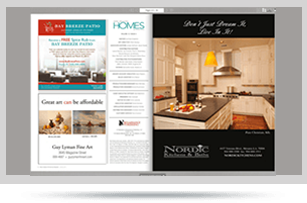 Add inventory by implementing pop-up or interstitial ads with image and video capability. Create an advertiser index that links directly to pages with advertisers. Digitize Your Entire Libraries and Archives – Quickly & Economically. Looking to upload your entire archive or library – we can help with you with bulk upload and customization. Place your archives in one or more searchable PubStands with unique URLs.